Is Loss of Hearing Stopping You From Having Fun This Summer? Should you just remain indoors and miss summer fun just because you can’t hear very well? Chances are it’s even worse if you don’t know it. The prolonged decrease of hearing that comes with aging and some ear diseases can mean that you won’t always realize that there are things which you don’t hear anymore. You might also stay away from engaging in summer activities you love just because you don’t hear as well. There are a few solutions to your loss of hearing that should get you right back out there having summer fun. 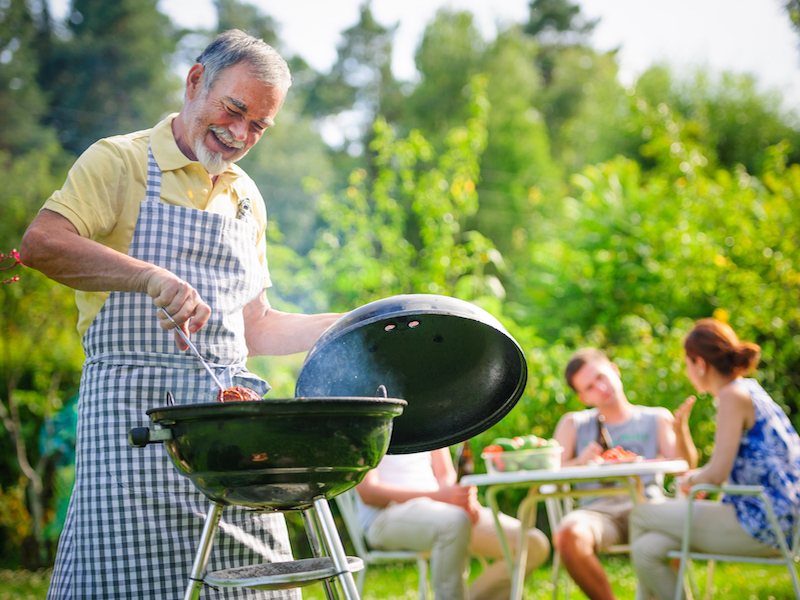 Barbecuing in the summertime may be difficult when you have loss of hearing. For one thing, there is a large amount of background noise. There are a lot of discussions going on all around you. On the lawn and in the swimming pool youngsters are yelling and having fun. There is the crackling sound of the food cooking on the grill and, of course, the wondrous sounds of nature. Whatever hearing you may have left can’t compete with all that noise. This amount of background noise will easily overtake someone that has hearing loss. Find a peaceful spot to sit to eliminate some of that overwhelming background noise. You may need to look at peoples lips so turn your back to the sun. You can reduce the volume of background music. You could make the decision to go without the music if you are the host of the barbecue. If you are visiting someone else’s cookout, mention the problem to the host. Get away from time to time. It can be exhausting when you are struggling to hear. Step indoors and away from everyone for a short time every hour and go somewhere quiet to recharge. Let others know if you can’t hear. Don’t try to fake it because that can frustrate others. If you don’t hear what someone said, tell them. Cupping your ear and other visual clues can indicate that you can’t hear to others. Normally, people will come closer or speak up to help you. Don’t try to hear everything. Understand that you can’t get involved in every conversation. Set sensible limits for yourself and try to engage in smaller groups instead. What might you be missing by remaining inside? Don’t be afraid to go outside the house and focus on the sounds of the natural world. No, you won’t be able to hear everything but with a little focus, you might hear more than you think possible. Temper expectations when going outside, to the beach, or for a walk in the park by trying to listen to one thing at a time. Isn’t that what summer is all about? Figure out what sort of vacation you would like and if there are constraints that come with your hearing loss. Sailing or fishing would be ideal but a theme park might be a little too much stimulation. Going out into nature would also work. Going to a museum or taking a stroll on the boardwalk next to the beach are great choices. Don’t let your hearing loss take away your opportunity to travel this summer. Tell the airline about your condition when you get your ticket if you are flying. Alert the hotel or resort, as well, so they can offer you a room with accommodations for the hearing impaired like smoke alarms with flashing lights or shaking beds and TVs with closed captioning. Look for ways to improve yourself this summer such as taking an exercise class or learning how to paint. If you want to find a place up front, be sure to get there early. Bring a friend or two with you and let them fill you in on what you are missing during the session. When you are enjoying the pool or beach, play it safe. Make sure you protect your hearing aids from water damage and put in some earplugs if you go swimming to prevent ear infections. If you want to walk in the evening to appreciate the cool night air, bring a friend with you. You may miss the warning sounds from potential dangers like oncoming traffic or maybe even a frightening stranger walking up from behind you. Protect what hearing you may have by wearing ear protection if you go to watch the fireworks for Independence Day or to an outdoor concert. Three simple things will help you eliminate most of these things. Have your ears examined by a hearing care specialist. It is possible your hearing loss is treatable. Get good-quality hearing aids. They can get rid of any background noises so you hear what’s important.